I think I loved Ava’s Man so much because I have a Charlie. 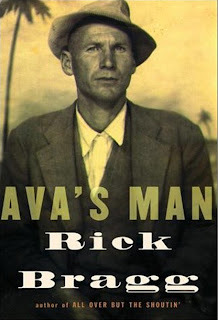 Ava’s Man is Rick Bragg’s memoir about his grandfather – whom Bragg only got to know through stories told to him. It is also a story about the South, about how things are different here – or at least used to be – and the people who are as colorful as a patchwork quilt. Charlie is one of those folks. A roofer by trade and bootlegger by night, Charlie is haunted by revenuers, ‘likker’ and occasionally the Law. Charlie has a internal sense of what’s right, wrong, fair and unfair – and while his neighbors and the men he drinks with understand it – officers do not. Told in intermittent episodes in the same Southern tongue Bragg would have heard the stories being told in, you can almost hear his aunts and uncles prefacing each chapter, “Do you remember the time when…?” Bragg does an admirable job repeating the language. And so as I was reading about Charlie, my mind constantly went back to my Charlie – Big Wayne – my grandfather, whom I also never met, but have grown to know because of the stories I’ve heard about him – stories that aren’t too different from those Bragg told. Stories about drinking and standing down revenuers and operating according to your own sense of justice, whether it matched the law or not. And I also realized this – men like Charlie and Big Wayne need books. It isn’t fair just to tell the hard stuff. You’ve got to include the softer things like Big Wayne pulling my mama up on his lap and singing to her. Yeah, like Charlie, Big Wayne loved his little girl, and she knew she was special. And it takes a book to do all that. Like Charlie, Big Wayne didn’t go to church. But he made sure the children did, and when the church needed land, Wayne followed in his own father’s footsteps and gave it to them. Big Wayne’s religion was found somewhere between a starry sky and the red Georgia clay. 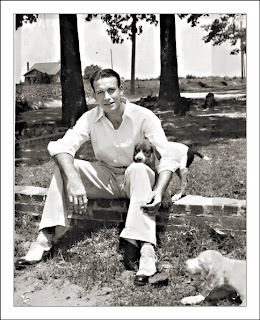 I think the other part of what I really liked about Ava’s Man is that it captures a piece of the South that I know, but that I also know is on its way out. I know about turtle stew and the meaning of “I’ll be home directly,” but I doubt my children will. But I’ll save what I can – like catching lightening bugs in a mason jar – and do my best to keep it all from dying off. And of course there’ll be stories. They’ll learn how we keep folks alive – like Charlie and Big Wayne – by telling stories. Beautiful review. I, too, pine for all those things "Southern" that seem to be falling away around us, lost forever to folk-lore-ish stories. It's why I garden. It's why I am going to can pickles this weekend. It's the things I remember about my grandmother. I think I will have to read this one, for sure. This is a great review! I haven't experienced a lot of the south but love that I can do so in books! Bunny – yes, folkloreish I think is exactly what the South is becoming… especially as first generation Southerners or even transplants try to write about it. Bragg's book is so obviously authentic. Thanks, bookjourney! Just checked out your site & saw you're giving away Pope Joan. Just finished that as well. So excited to see that it is going to be a movie! Absolutely loved your review of Ava's Man and the parallels made with your maternal grandfather. Sooo beautiful. It saddens me that so much of the South is disappearing, but thank goodness we do have the Rick Bragg's. And I believe you will soon be added to that list of Southern authors who will continue to show the beauty of our Southern culture. You have the talent to make the ordinary, extraordianary. Mary, you're so sweet. I'm not sure I have it in me, but I would love to think that at some point I've created something that saves part of the world I've known and grown up in. I will try Siddon's book, and as always, thanks for reading. 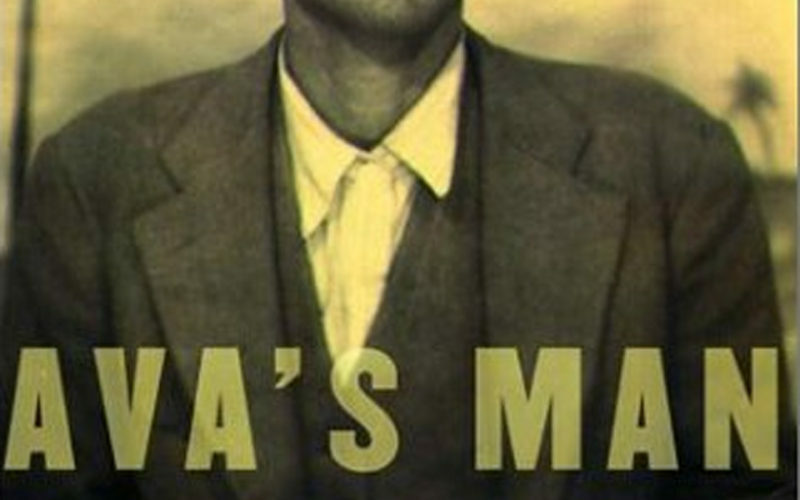 Beth, your review of Ava's Man is not only insightful, but for me evokes a room of memories and longings that lie near the surface. One longing is that Daddy could read your sensitive thoughts— especially about Southern culture. You have his beautiful way with words.